Always bring your towel to wipe down the equipment after you have used it. Sitting in someone else’s sweat is never a pleasant experience. Having a towel will ensure that you always have a dry surface for your workout as well as keeping it dry for the person after you. Leaving your towel or water bottle near or on equipment is a no-no! Allow others to use the equipment while you are busy with something else. It is a communal area after all. Sharing is caring. When waiting for equipment, do not hover over the person using it. Simply wait until the person moves on to something else. Be patient. 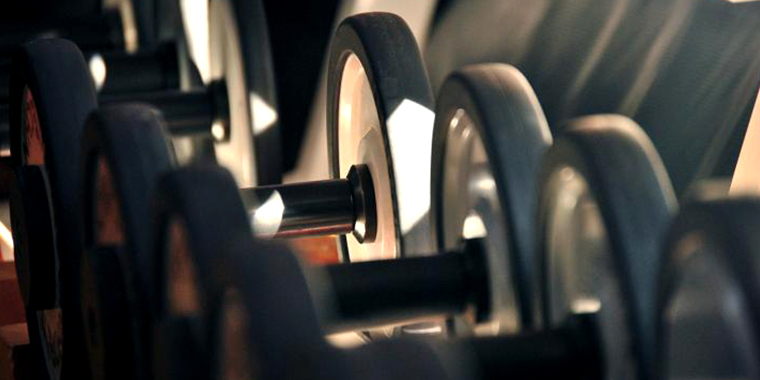 If you used weights, ensure that you pack them back onto the rack. Leaving equipment lying around on the floor could be a hazard for others and makes it difficult for others to find the right equipment when they want to use it. Blasting your music at max volume is not OK; well for you it is, but not for the person next to you. Respect the people around you and turn down the music. If you are doing a fitness class, always ensure that you are a few minutes early. This will guarantee you find a spot without disrupting others who have already started with the class. The gym isn’t the runway. Wearing the correct support and also ensuring that you have enough clothing on in the gym can actually help you optimise your workout. If you aren’t a qualified personal trainer, then keep the advice to yourself. Do not offer your advice without permission. If someone asks for advice, give it to them only if you’re 100% sure, otherwise refer them to the actual personal trainer.